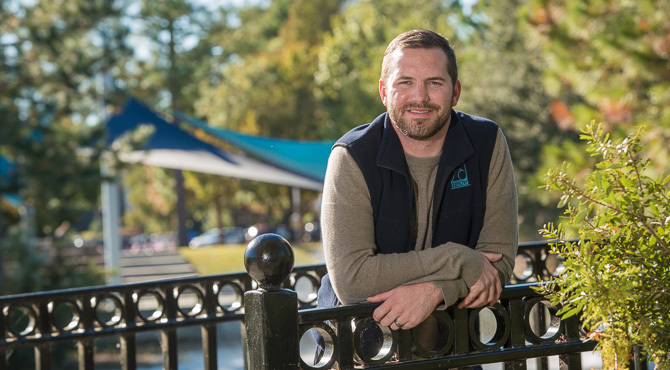 Keith Fraser ’13, assistant director of annual giving, has the privilege of helping build a culture of philanthropy among the UNCW community. Prior to his current role, he served as a first-year admissions coordinator. While traveling and meeting prospective students and parents, he learned firsthand the importance of educational access and affordability for all students, regardless of their background or financial situation, which provides a rich context for his role in the Division for University Advancement. This year, in collaboration with Staff Senate, the Office of Student Leadership and Engagement and Human Resources, the Office of Annual Giving is participating in #GivingTuesday, a global day dedicated to giving. Observed after Black Friday and Cyber Monday, #GivingTuesday offers participants the opportunity to support the areas of campus they love most. Employees who are not actively enrolled in payroll deduction have a chance to enroll today and have their monthly gift doubled for 12 months. Employees are also invited to attend the #GivingTuesday Celebration in the Warwick Center, today from 10 a.m. to 2 p.m., where they can enjoy holiday treats.